As the year 2006 comes to an end let’s take this time to review the year in regards to small businesses. In an earlier post, we looked at the outlook for small businesses and for the most part the outlook looks rather promising. In the recent weeks, I have reviewed a few “offerings” for small businesses that can save you money, and increase your reach and profits for 2007. The IRS has finally announced the formula allowing businesses to estimate their federal excise tax refund. To request a refund, businesses must fill out Form 8913. The actual amount of the refund is determined either by the actual amount (from March 2003 thru July 2006) of excise taxes paid or by the formula the IRS provided. For more information regarding the tax formula, check the IRS website and or speak to your tax advisor. Here is a FREE 18 page report for those interested in generating more leads, maximizing your marketing opportunities and build on last year’s profits. Simply go to the following link to get the report. Other softwares that are used in conjunction with your QB 2006 software may also experience problems. 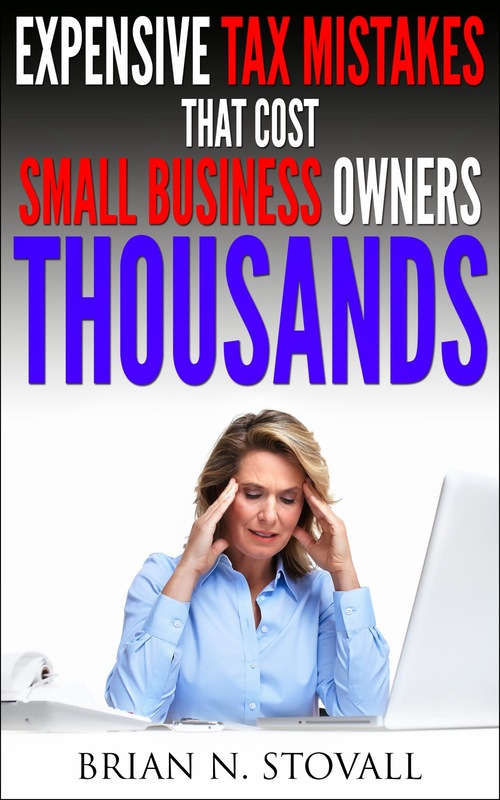 If your small business falls within this category, be sure that you upgrade your QuickBooks software to version 2007 if you plan to use Windows Vista. Another “thought” is to switch to Microsoft Office Accounting Express or Professional. Office Accounting Express is FREE so there is no expense incurred to switch. I can’t help but wonder if these incompatibility issues are simply part of Microsoft’s strategy to bring their small business accounting package to the forefront of the small business industry. Can’t wait to see what happens in 2007 and beyond. Now that Congress has closed out the year and gone home for the holidays, it is good that they were able to pass and extend many of the much needed tax breaks for taxpayers. Just to recap, check out my previous blog post “Tax Breaks Still Looming” for details of the bills that were on the table. Now that these measures have been passed, this is still a good time to add the tax breaks into your tax planning for this year. Be sure to speak with your tax advisor regarding these changes and how they may affect your tax return. In technology news, I have been able to take a look at the new Microsoft Office Accounting Express and must say that it is quite impressive. Files from “other” small business accounting software import seamlessly into the software and the ability to merge with other Microsoft products makes it all the more easier to run your business. I can’t wait to get the Professional version of the product. To top it off, the Express version is available FREE right now. Check out my previous blog “Microsoft Office Accounting 2007 is Here” for details on how to download the Express version for free. Those are the updates this week people. Just some ideas to get you on the right track for tax season and keep your business N synergy. Look out for the results for these changes may have an effect on your tax liability in April. Keeping you and your Business N Synergy. The other week I posted some information on how S-Corp owners could provide health insurance for their owner/employees (see S-Corp Owners and Health Insurance post). Well here is more detail on how this can be done. If you are looking for a way to reduce your employee benefit costs, you may wish to consider using a health reimbursement arrangement (HRA). An HRA is an employer-funded health benefit account for individual employees, which may be used to pay their medical expenses and health insurance premiums. This type of plan is generally more economical, more flexible, and has additional features that a traditional health benefit plan does not have and at the same time provides favorable treatment for federal income tax purposes. Under an HRA, the contributions you make and the amounts received by your employees are generally excluded from the employee's income. In addition, any excess amounts to the end of the year can be carried over to future years without being lost. The plan reimburses a covered person up to a maximum dollar amount for any period of coverage and any unused portion of the maximum dollar amount at the end of that period is carried forward to increase the maximum reimbursement amount in subsequent coverage periods. Ask your financial advisor if an HRA will work for your small business. As always…tips to keep your Business N Synergy.